Can you help to make our vision a reality? Australia has a proud heritage – one of the oldest continuing cultures on earth. Yet there is a gaping chasm between the welfare of Aboriginal and non-Aboriginal communities. 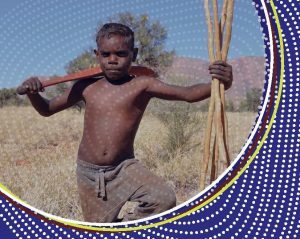 CASSE’s Aboriginal Australian Relations Program is working with Aboriginal people and communities to understand and process issues of violence, problem behaviours and underlying trauma to help create safe, supportive environments. It is about changing minds and saving lives. *** NEW *** As well as the following options you can now support CASSE’s important work by purchasing CASSE Merchandise! Or by donating to support our work. CASSE Australia Inc (ABN: 17811 536 315) is registered in Australia as a Deductible Gift Recipient. All donations over $2 made to CASSE Australia are tax deductible. To make a donation, Please contact us. Any personal information provided to CASSE Australia will remain confidential and will only be used in order to maintain the donor mailing list and keep donors informed about CASSE’s work.